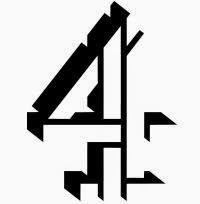 Transmission problems disrupted Channel 4 programming for several hours today and delayed Channel 4 News by nearly five minutes after a segment of Deal Or No Deal ended up looping three times. The broadcaster's teatime staples Four In A Bed and Come Dine With Me went on air 10 minutes late. Additional sound problems blighted The Simpsons for some Freeview HD and YouView viewers. Apart from being late, the US animated series played out fine via the standard definition version and on Channel 4 HD on Sky and Freesat. Most Freeview HD viewers could watch the episode again an hour later without sound troubles on Channel 4+1 HD on channel 110. Perhaps predictably, the delays to The Simpsons created a few irate responses on social media. By the time Hollyoaks went on air, the channel was running around 5 minutes late, with Channel 4 News delayed until 7:04pm. Amateur footage received by a516digital highlighting the C4 sound fault.